Tired of traditional salads? Give this salad recipe a try today! 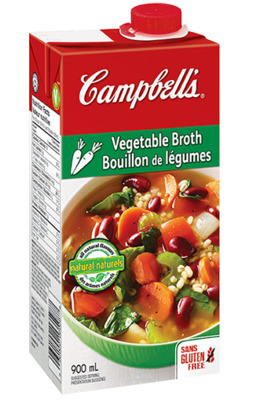 Place 2 cups of quinoa and 4 cups of Campbell’s broth in a saucepan with a tight-fitting lid and bring to a boil. Reduce to a simmer,cover and cook until all the liquid is absorbed; about 15 minutes. Set aside and let cool for 10 minutes. In a medium bowl,combine shredded cabbage,matchstick carrots,cilantro,basil,and green onions. Set aside. In a blender,combine ingredients for dressing and mix until creamy. Add water to thin,if necessary. 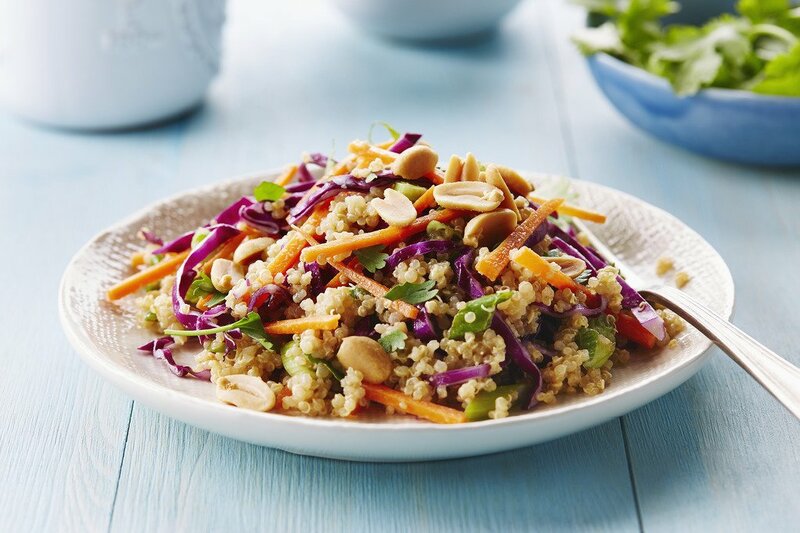 To assemble,mix half of the dressing with the quinoa in a serving bowl. Add prepared vegetables and herbs,stirring gently to combine. Taste test and add more dressing if needed or desired. Garnish with roasted peanuts,extra cilantro,and a few lime wedges. Chiffonade is a technique used for cutting herbs and leafy vegetables into thin ribbon strips. To chiffonade basil,for instance,stack leaves and roll them into a tube and carefully cut perpendicular to produce fine strips. Julienne is a technique similar to chiffonade,used with sturdier vegetables like carrots,that involves cutting a vegetable into thin strips or small,matchlike pieces. A bias cut means to slice not straight across,but at a diagonal (45-degrees). The cut creates elongated,oval shaped pieces for presentation and enjoyment. PLANNING TO COOK GLUTEN-FREE? Before preparing a recipe always read product labels to ensure each ingredient is gluten-free. Products and ingredients can change. Looking to add some extra spice? Try adding red peppers! Looking for ideas for sauces? Try serving with soy sauce, fish sauce, peanut sauce, or even a hint of maple syrup. This rating was left without a review. If you have a question or feedback on Campbell’s products, please contact our customer care team here instead.